The brother of country music legend Owen Bradley, Harold Ray Bradley is reportedly the most recorded guitar player in history. Not a ridiculous assumption considering Bradley has been a Nashville session musician for over 50 years. Born in Nashville, Bradley first became interested in the banjo, but switched over to the guitar after his older brother Owen convinced him that the banjo was going out of style. His first professional experience also came at the hands of his older brother who, by the early '40s, was already a respected bandleader on WLAC. 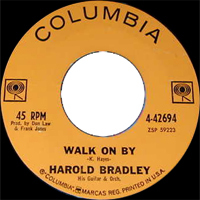 The eldest Bradley arranged for Harold to tour with Ernest Tubb during the break between his junior and senior years in high school. 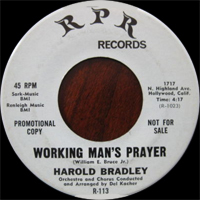 After graduating and spending a stint in the Navy, Harold enrolled at George Peabody College in Nashville, where he studied music and made extra money by backing singers at the Opry. By the late '40s Owen was one of the most popular bandleaders in the country and, along with Harold, decided to build Nashville's first recording facility, Castle Recording Studio. The small studio lasted several years, until the Bradley brothers built a larger facility capable of making stereo recordings. Around the same time Harold's session career began taking off as well and, throughout the '50s and '60s, his reputation for dependability and excellence landed him session work with some of the best names in the business, including Patsy Cline, Willie Nelson, Roy Orbison, and Elvis. 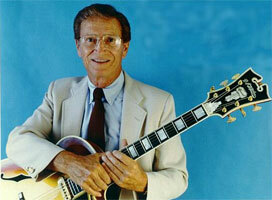 Playing bass guitar, Harold also invented the "tic-tac" style of muting the bass notes. Throughout his career, he has never strayed far from his brother Owen and, in a large way, the Bradleys were among the key architects of the Nashville sound and style of recording, helping to build a recording industry where previously there was none.